A Look Behind The Book With A Bogie. You would be hard-pressed to come up with a better name for an author of children’s books than A Bogie but is it a nom de plume? In my latest Behind The Book interview, I quiz Anna about her surname and discover more about her popular series of Happy Hooves picture books – the most recent of which, Yuk!, was published last year. The busy mum of three is fascinated by how children learn to read and is convinced that rhyming and poetry are a huge help in aiding language and reading skills. I love rhymes – although, having attempted to write a rhyming poem once, I know it is not as easy as it might seem. Anna also offers a couple of great tips at the end, which I am sure are important for all authors. First things first, A Bogie is surely the most perfect name for the writer of children’s books? A Bogie is a brilliant name for a children’s author – unbelievably it is my actual (married) name and not just a nom de plume. It isn’t the easiest name in the world to have but at least this career makes the most of it. I was born and grew up in Norwich and I now live in Gibraltar. Have you always wanted to be a writer? What made you decide to write for children? I have always wanted to write but my career post university was actually in marketing. Having decided that I wanted a change from corporate life, I tried my hand at writing for children. It’s my favourite kind of writing because it’s so much fun and a real break from everyday life. Your debut picture book series, Happy Hooves, was inspired by your life in Spain. How much impact does your location (and other aspects of your life) have on the subject matter of your books? Location does have an impact because the area you are in sits on your conscience. I used to live in natural parkland outside of a beautiful place called Tarifa, in the south of Spain. It is very rustic and the animals roam freely, I couldn’t help but be inspired by the area and so location played a big part in Happy Hooves. Another big aspect of my life is that I am a mum to three gorgeous kiddiwinks – Reuben, Amabel and Lachie, and they provide constant inspiration with their general chatter. How did you find out it had been accepted for publication? What was that like? I had two very small children when I found out Happy Hooves, Ta Dah! was going to be published, it was very exciting but also slightly overwhelming as I hadn’t expected it to happen at that time. A picture book takes a long time to come together and it all felt quite unreal until I actually held the book in my hands. 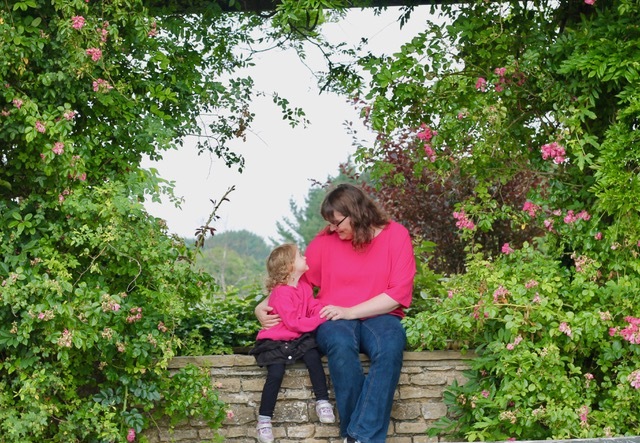 Fat Fox Books is a brilliant publishers and they’re very supportive – I call Holly, the managing director of Fat Fox Books, my Fairy Godmother because she made my wish come true. How much say do you have over the illustrations? Is it a team effort? What was it like seeing your characters as someone else sees them? Were they as you imagined? The publishers had full control over the illustrations for Happy Hooves and I was absolutely thrilled that they chose Rebecca Elliott. She is incredibly talented and made Happy Hooves more beautiful than I could ever have hoped. If you ever visit Tarifa, you’ll see how well she has caught the essence of the place, even though she hasn’t been there. During a creative writing course, years ago, we had an exercise to come up with a children’s tale (or the start of one). I remember people muttering about how “easy” it would be but the majority of the class really struggled. Have you come across this attitude before? If so, is it frustrating? Writing a children’s book is very intense, every word has to be perfect because you are working with so few, there is absolutely no room for unnecessary details. Children are very harsh critics and won’t read a book unless it keeps them captivated and so there is a huge amount of work to make sure the story will not lose the child, even for a second. People may think writing a children’s story is easy but the writing is actually only one part of being an children’s author – it is hugely competitive and most writers have to go through a lot of rejections before anything is published so it’s all about the long haul struggle to be honest and whether you can stay in it for the long run. How does it feel to know you’re engaging a younger audience? That your books could be among the first they have ever read? Do you feel any pressure? Now I do…! I love writing for a younger audience, but I don’t feel a pressure, just a privilege if mine is one of the books they read. All I can hope for is that they ask to read it again, and enjoy it. I especially love visiting schools where you get to engage with children directly, it is really rewarding and the questions can be brilliant. What are you working on at the moment? And do you write better at set times or can you sit down whenever and get straight to it? At the moment I’m working on a book for a Scottish charity, which should be published as an ebook this year. I’m also working on a new series of books that unfortunately I can’t divulge upon yet. Is there any advice you could give to would-be authors? Something you would have found useful when you started? Firstly, it’s all about the editing and making sure that every word deserves its place on that page. Secondly, an author has to do a lot of their own self-promotion and create their audience. I’ve found this very hard and I am working a lot on my social media so that I can get myself out there. A massive thank you to Anna for answering my questions. I had no idea just how much authors, even ones with big publishers, have to peddle their own wares. It seems like a great idea to start building up your social media presence in advance. Speaking of which, you can find out more about Anna via her website, which also has some great free colouring activities to download and print, and follow her on Twitter, Facebook and Instagram. For more Behind The Book posts please click here. I’ve got two more fabulous authors lined up for next month. I can’t wait to post them. Previous postMy Sunday Photo – June 18th, 2017. Next postBook Review (And Excerpt): The Beta Mum – Adventures In Alpha Land. Rhyming most certainly helps with reading, Tara. It helps the kids recognise suffix and prefixes in words. Some kids work out the rhyming thing very early on and others seem to take longer. To me this seems to correlate with spelling skills too. I like your interviews with authors. So interesting. I really like reading rhyming books to Freya, I find them more interesting and fun. So pleased you’re enjoying the series, thanks so much (as always) for your support. You always inspired me Tara!! 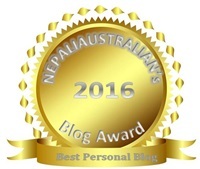 Your blog is a pleasure to read! A Bogie is just such a fantastic name, fascinating peek behind the scenes, as ever! Isn’t it!? I couldn’t believe it wasn’t a pen name at first. Thanks for reading and for your support.